Use AI to learn and predict building behavior. 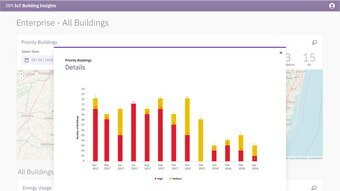 Because no two buildings are alike, TRIRIGA Building Insights uses AI (Augmented Intelligence) and Brick Uniform Building Metadata Schema to deliver an up-to-date and accurate view of every building in an enterprise. 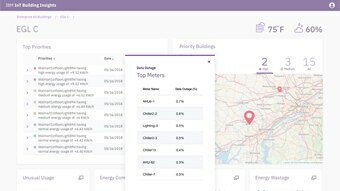 Whether it be for energy diagnostics and prediction or future occupancy insights, IoT Building Insight’s platform is designed to consolidate, store, analyze, and learn from the things and people in buildings. 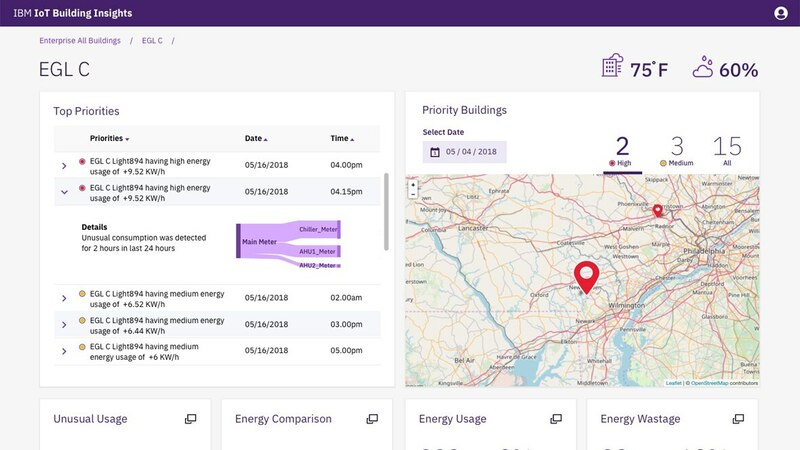 Reduce time and complexity involved with building custom solutions and integrating multiple point products to connect, analyze, and visualize building data. 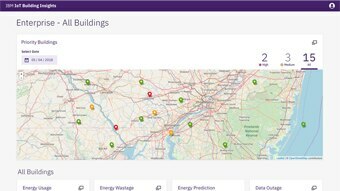 View data from your enterprises’ buildings distilled into action-based insights in one easy to use application. Take advantage of subscription pricing and isolate costs by only paying for actual sensors installed across the entire enterprise, allowing for staged deployment. 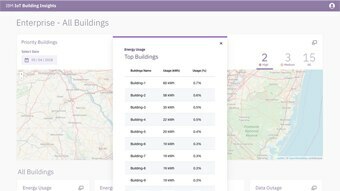 Get an up-to-date list of buildings consuming the most energy. Monitor current behavior and predict future consumption. Easily report on the number of buildings consuming excessive energy. Quickly identify sensors that are not sending data.